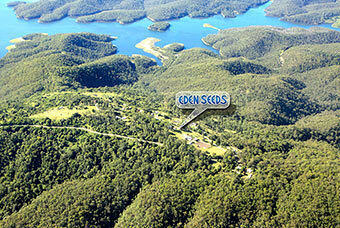 Eden Seeds & Select Organic is a mail-order based seed distribution company located in Queenland's Gold Coast Hinterland. We sell seeds & books direct to home gardeners, hobby farmers, & commercial growers alike. We also supply seeds to hundreds of retail outlets around Australia. is to distribute old traditional open pollinated varieties of vegetable seed, preferably old Australian varieties and organically or bio-dynamically grown where possible. Our seeds are the old traditional open pollinated non-hybrid varieties and have no chemical treatment, and no genetic engineering. You can buy seeds online directly from us, either browse our catalouge of seeds using the navigation in the left column, or you can search for a specific seed variety name using the search box above in the site header. Founded in 1986 by Alf Finch, Eden Seeds started in Gympie (south-east Queensland) as a family business which quickly out grew the family home. A small office was soon built along with the purchase of a humidity controlled cool room for optimal seed storage. 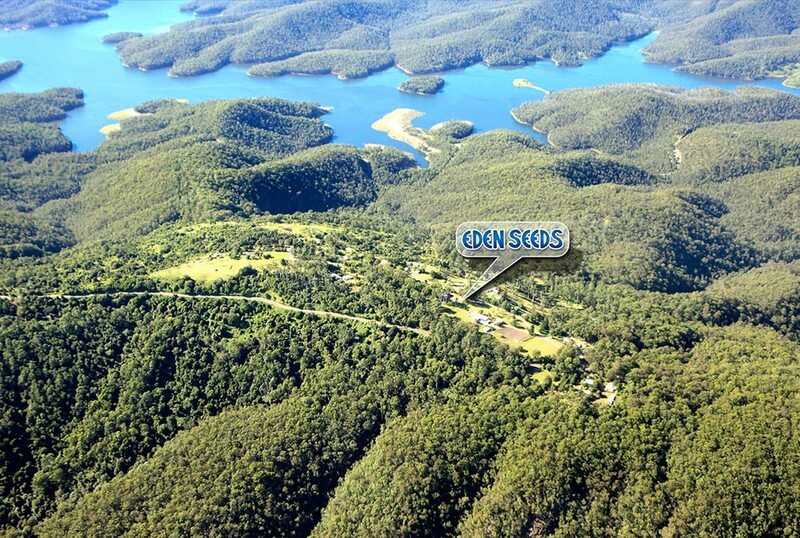 In 2001 Eden Seeds relocated to a 6 acre farm at Lower Beechmont in the Gold Coast Hinterland with purpose built infrastructure to accommodate our growing needs. This time 3 cool rooms were acquired to keep up with the expanding stock (a fourth was recently added in 2016). By 2004 Alf Finch created a new brand of seeds called "Select Organic" which are all entirely certified organic (ACO 10457). A portion of Eden Seeds stock had always been organic, however this now allowed Alf to distribute the certified organic portion of seed varieties to be labeled as "certified organic". Select Organic now has over 350 varieties of certified organic seed available to the public, 80 of those varieties are sold in colour packets with illustrations and planting information. While Eden Seeds & Select Organic are essentially the same company, the distinction of branding has been maintained to clearly define the separation between certified organic seed & conventionally grown seed. Both Eden & Select seeds are the old traditional open pollinated non-hybrid varieties and have no chemical treatment, and no genetic engineering. We pride ourselves on fast turn around of our customer orders, as well as offering the largest range of old traditional non-hybrid vegetable, herb & flower seeds in Australia.